Glucosamine is produced naturally in the body, but there are no major food sources of it so it is difficult to get optimal amounts from diet alone. Supplementation with a quality glucosamine tablet is therefore a good way to ensure precise measured doses. In the body, glucosamine is a major structural component of joint tissue and supports the synthesis of several important macromolecules including glycoproteins, glycolipids and glycosaminoglycans. These are found in the synovial fluid, cartilage, tendons, ligaments and muscles. 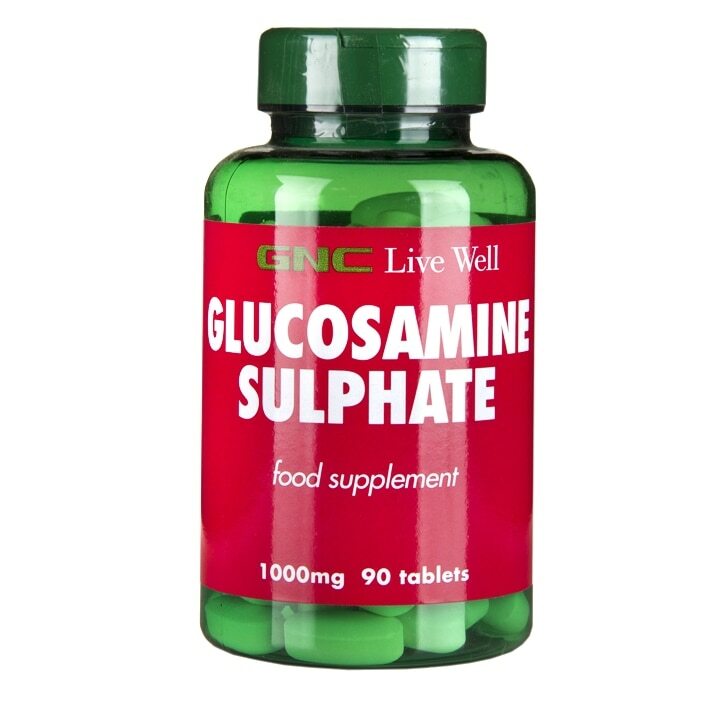 Glucosamine Sulphate 2KCl (Crustaceans), Bulking Agent (Microcrystalline Cellulose), Anti-Caking Agents (Magnesium Stearate, Stearic Acid) Glazing Agents (Hydroxypropyl Methylcellulose, Glycerine, Carnauba Wax), Colour (Titanium Dioxide). Food supplements must not be used as a substitute for a varied and balanced diet and a healthy lifestyle. If you are pregnant, breastfeeding, taking any medications or under medical supervision, please consult a doctor or healthcare professional before use. Discontinue use and consult a doctor if adverse reactions occur. Warning: Do not consume product if you have an allergy to shellfish. Consult a doctor before use if you have or have had diabetes or concerns with blood sugar levels such as hyperglycaemia or hypoglycaemia. Not intended for use by persons under the age of 18. Please consult your doctor before taking Glucosamine if currently taking Warfarin or Tetracycline. Keep out of reach of children. Do not use if seal under cap is broken or missing.